A fundamental part of any successful function or event is the venue. A marquee provides flexibility that a permanent venue is unable to provide. 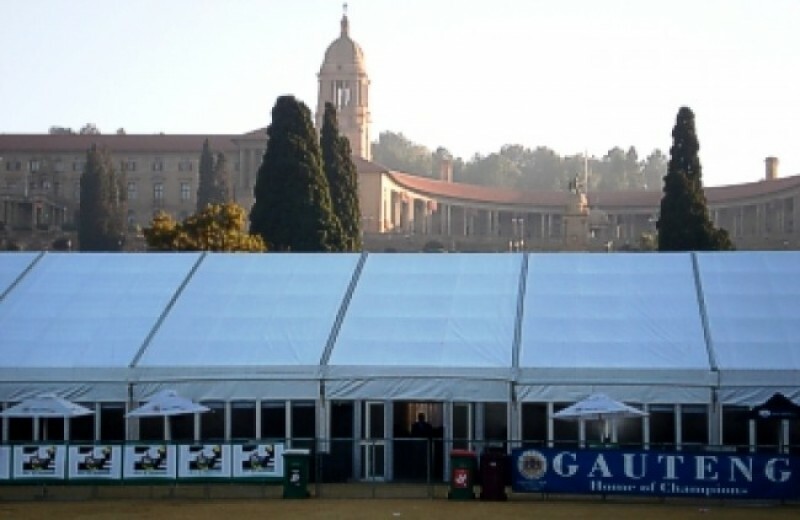 Status Hiring's wide range of Marquees include the Aluminium Clearspan, Freestanding, Peg-and-Pole and Bedouin ranges of Marquees in various sizes and configurations to collectively cover up to 12 000m². Our wide range of Marquees will suit virtually any site or venue, while we also have a large range of Function Equipment to add the necessary finishing touches to any function. We offer Marquee solutions for gravel, grassed or paved areas, ranging from intimate garden parties to corporate or public events seating up to 5 000 people. Status Hiring complies with Government Legislation and therefore Structural Compliance Certificates, Fire Rationales and Plan Submissions form an integral part of our added services offered to clients who organise public functions and gatherings. Our Event Coordinators will work with you to design a marquee layout suited to your needs and budget. Any extras, e.g. Dance Floor, Stage, Glass Panels, etc.